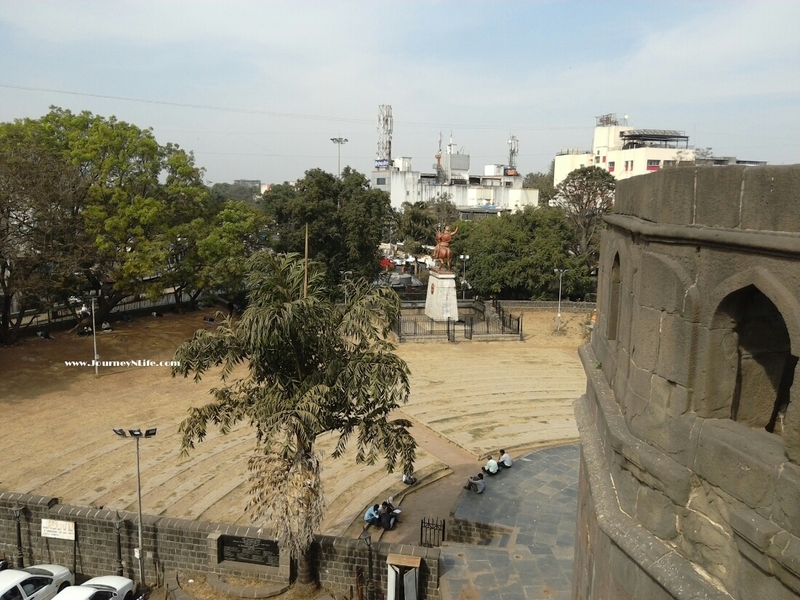 Shaniwar Wada - The Magnificent Palace of Peshwa's in Pune City - Journey & Life. 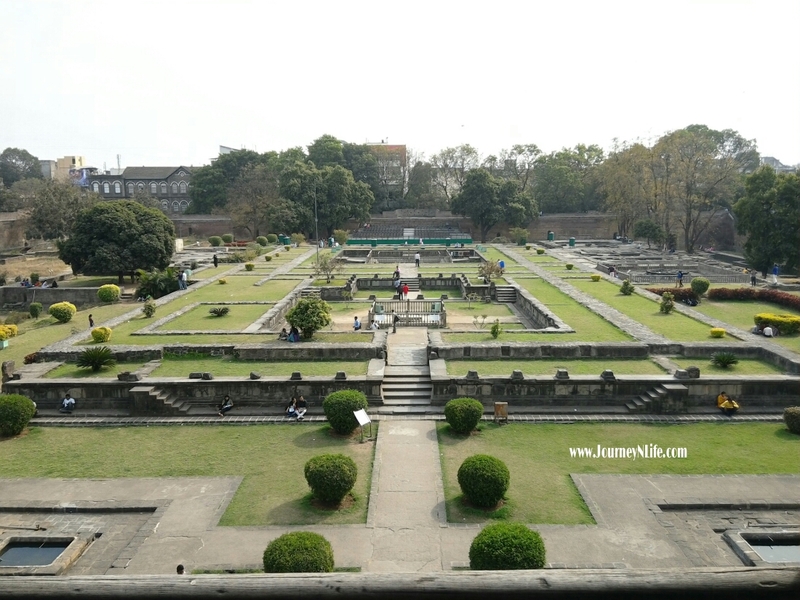 After exploring Aga Khan Palace we decided to head towards Shaniwar Wada, this place was in our itinerary from long time and as it is nearby place of Pune City hence, it was always move forward in our itinerary list. It is so-called as Shaniwar wada from the Marathi words Shaniwar (means Saturday) and Wada (a general term for any residence complex). The huge main door was amazing sight of the fortification, within the main door; there was a smaller door to let people in and ticker counter. 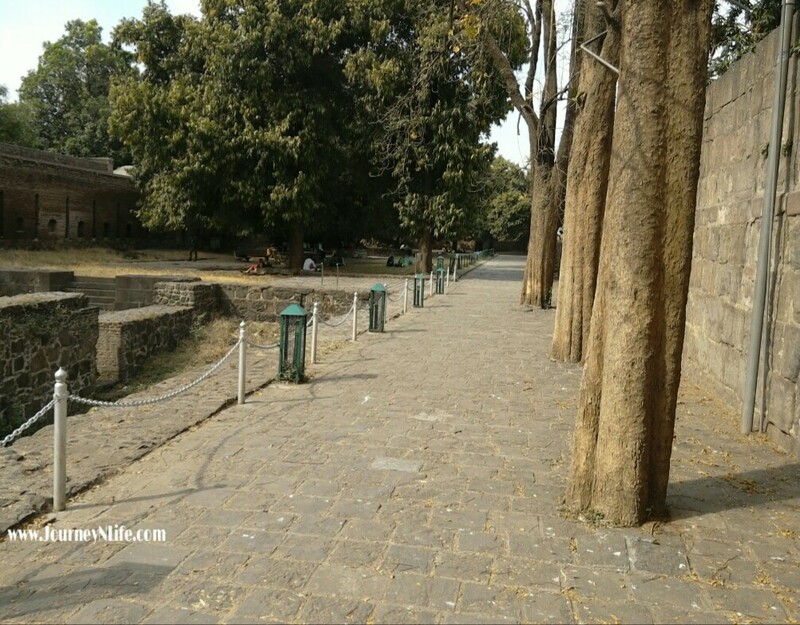 The entire fort is square shaped and it is places right in the centre of the city near Tulsi Baug (ABC Chowk), with the walls in good condition and road running around the fort. After we enter the fort we brought ourselves an entry ticker of Rs 5 to explore the fort, there was a huge crowd outside and inside the fort and mostly college students who come to fort for hangout and birthday celebrations. 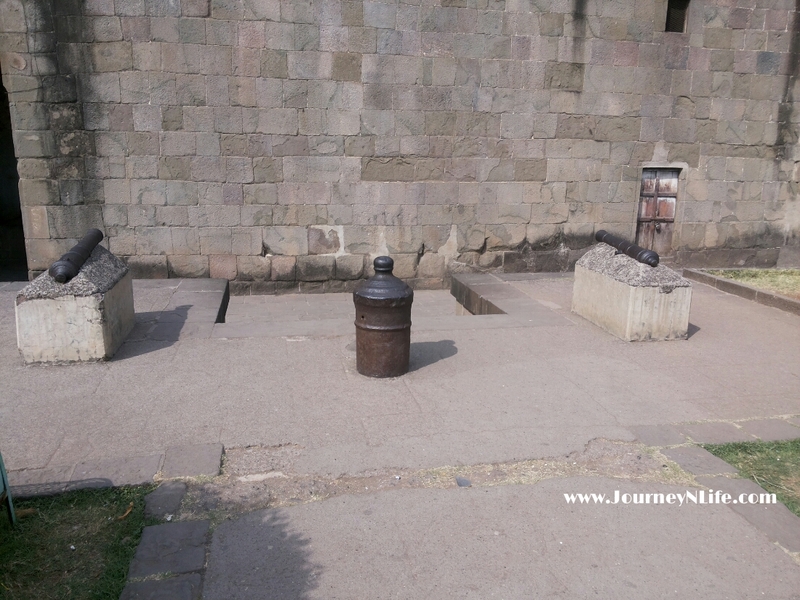 We saw cannon after the entrance gate which was still intact and well maintained. Also the garden and the fountain which was well maintained, there was a board put up giving information about the famous events that had taken place within the fort. There is a one floor structure above the main entrance. We climbed up the staircase and onto the first floor. This place was beautifully carved out of wood and polished but has not been touched over the years. 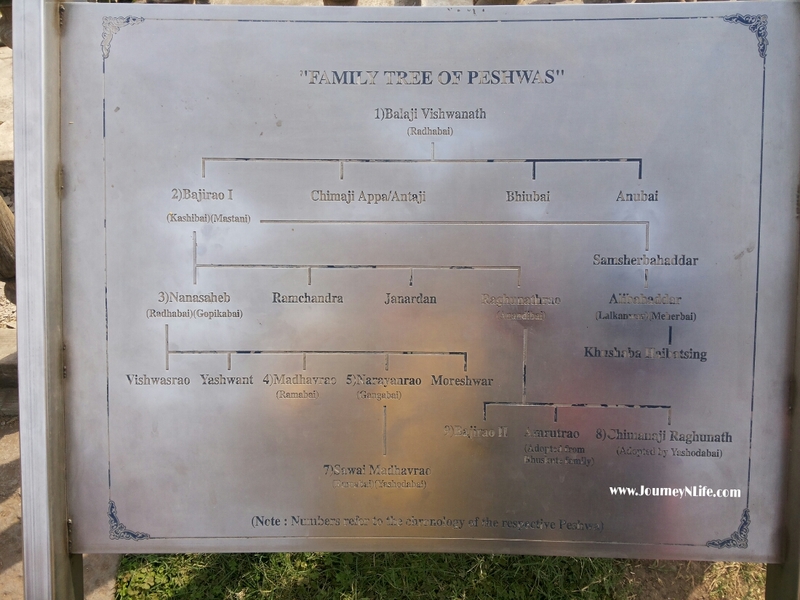 There was a broad which provides information about the family tree of Peshwa's who had built this fort in 18th century. After walking and exploring the fort around the walls, we then came to the ground to explore the garden and the broken down structures around it.